Your uPVC vertical sliding windows have the option of decorative sash horns to be included in your finished product, adding a finishing touch to the classic appearance of traditional windows. 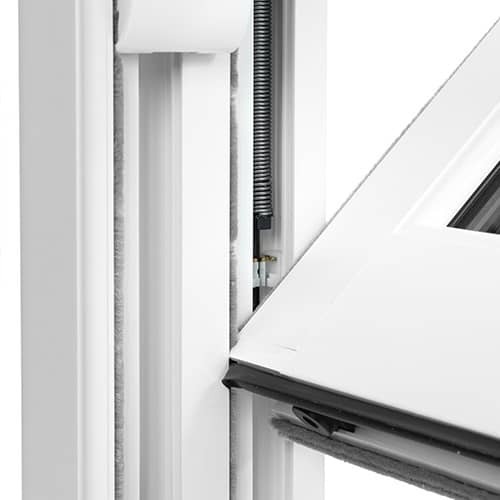 Each uPVC sliding sash window contains ingenious spiral balances to calibrate its weight distribution. 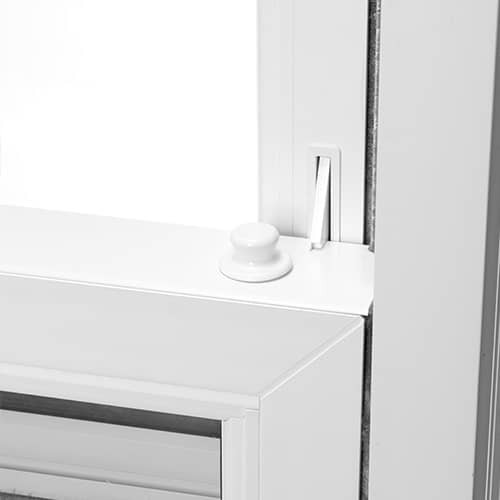 This ensures smooth and fluid operation for our sash windows to effortlessly open and close. Each of our sliding sash double glazed windows are fitted with lockable catches for added security. Available in a range of styles to uphold the classic look of sash windows while maintaining the safety of your home. 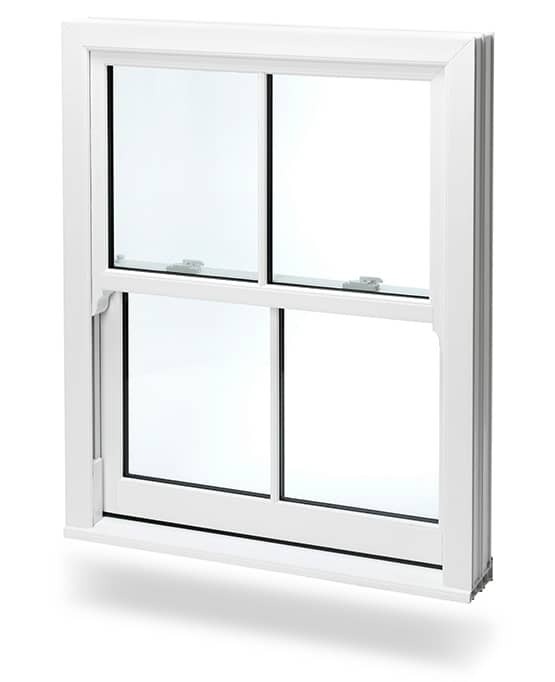 The range of uPVC sliding sash windows come with concealed, low-level PCE gaskets as standard. Their function ensures that unpredictable weather conditions are kept at bay while staying neatly hidden. 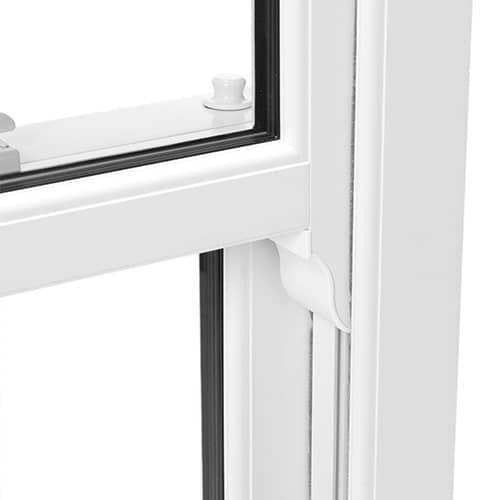 Our sliding uPVC sash windows incorporate an innovative pivot bar which allows the sashes to pitch inwards. This function is an excellent solution for ease of cleaning or to merely let extra airflow into any room. 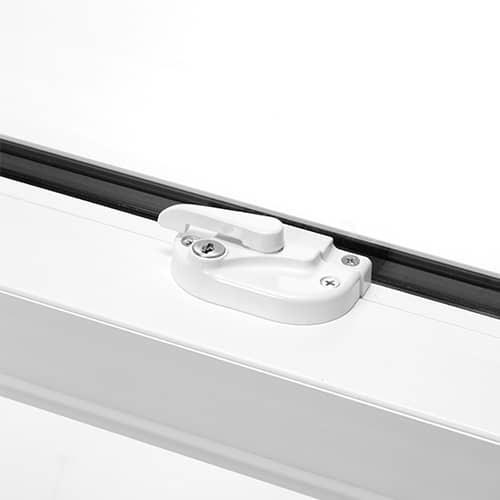 To ensure your peace of mind, child restrictors can be included to inhibit the bottom sash from being completely opened. This will keep your children safe as well as providing added security to your home. Our uPVC sash windows are an excellent alternative to traditional timber sliding sash windows. If you currently have wooden sash windows that look tired, worn out and let the cold air in, then you’ll be amazed by how our uPVC sash windows will revolutionise your Norfolk home. These high performance uPVC windows beautifully echo the traditional appearance of timber sash windows but without the commonly associated issues that arise with their wooden windows counterparts. High maintenance timber sash windows are often draughty and become increasingly difficult to operate over time, but these problems are a thing of the past with our innovative uPVC vertical sliding sash windows. Unlike traditional sliding sash windows, our innovative vertical sliding sash windows also tilt. This helpful function allows you to have easy access to the outside pane to make cleaning a simple task, a useful solution for upper floor apertures or windows with limited access from outside. As double glazing experts throughout Norwich, we ensure the durability of each uPVC sliding sash window by utilising the very best hardware available. You can take your pick of hardware from the available selection that beautifully mimics that appealing classic style. These beautiful windows can be installed in a variety of colours to suit any home in Norfolk perfectly. Take your pick from the choices below to create the perfect aesthetic for your property. All our double glazing products benefit from providing you with cheaper heating bills by allowing you to get and retain heat and achieve an “A” Window Energy Rating. These efficient windows create a thermal barrier that prevents cold transfer, keeping your home warm. 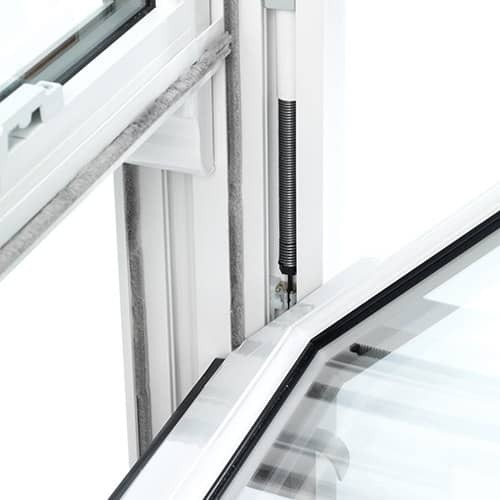 To eliminate cold draughts and water ingress, each uPVC window combines compact frame weather seals and a thin, invisible metallic coating to the inner surface of the double glazed units. These functions operate together in the prevention of bad weather entering your home and by ensuring heat is retained in your property. This great partnership means your home will stay dry and warm while improving the efficiency of your central heating system. By using less energy, you’ll be saving money on your energy bills, helping to protect the environment and reducing your carbon footprint. Choosing double glazing specialists Window Plus for your uPVC vertical sliding sash windows will mean an elegant and traditional look for your Norwich home. The double glazing expertise that goes into each of our sliding sash windows ensures an outstanding product every time. Attention to engineering detailing means effortless operation coupled with a classic aesthetic that will compliment your home. We’ve helped many homeowners to achieve their perfect home improvements throughout Norfolk and Suffolk in Norwich, Eaton, Sprowston, Thorpe St Andrew, Costessey, Spixworth, Hellesdon, Drayton, Catton, Plumstead, Trouse, Wroxham, Hoveton, Horning, Coltishall, the Broads, Brundall, Blofield, Broadland, Acle, Aylsham, Swaffham, Holkham, Wells-next-the-sea, Blakeney, Holt, Cromer, Sheringham, Caister-on-Sea, Great Yarmouth, Bungay, Beccles, Halesworth, Diss, Lowestoft and the surrounding area. You can calculate your free, no obligation and instant sash windows prices using our double glazing quote engine. It’s so simple to use, all you have to do is select your window option, enter a few details and you’ll see your guide price in minutes! 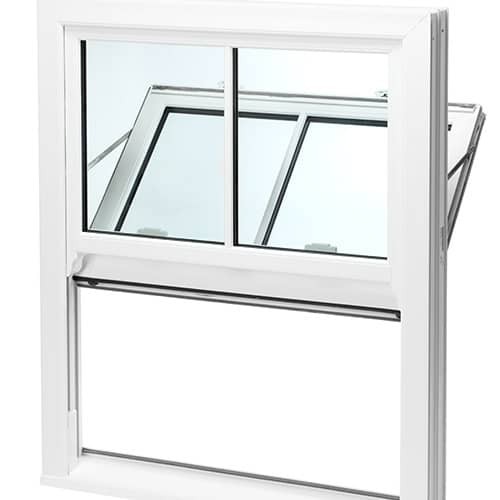 Alternatively, you can find out more about our uPVC sash windows in Norwich and Norfolk. Head over to our contact page to get in touch with our friendly and professional team.